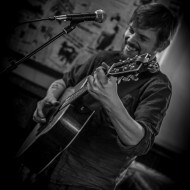 Adam Chodan has been November 2013's Artist of the Month on Yorkshire Coast Gigs. So, Adam, tell us where your musical interest began? Bharghest are a death/progressive metal band from Scarborough, recently debuting at Shades in Bridlington and appearing there again for Valkyrian Music Festival this weekend. The Antiquity are from Scarborough but have been busy touring further afield, only recently debuting in their hometown. They will form part of Saturday's line up at Valkyrian Festival at Bridlington's Shades Nightclub this weekend. Old Corpse Road will headline the Saturday at Valkyrian Festival, Shades (29 Nov – 1st Dec). Scarborough's James Grunwell makes a welcome return this weekend with The Wonderful Sound of the Cinema Organ. The event takes place at the Stephen Joseph Theatre this Saturday at 7.30pm, and is just one of James' many musical ventures.